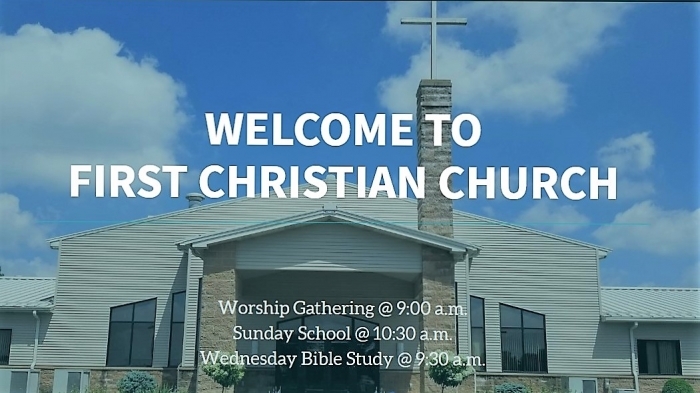 First Christian Church, located in Kendallville, Indiana, is looking for their next Lead Pastor. First Christian Church has been in the Kendallville area since 1853, and in our current building since 2001. We have a weekly attendance of approximately 150 people. The church is made of friendly, we_noemailing people who are striving to glorify God and obey Jesus Christ. First Christian Church has a history of solid Bible-based teaching with a strong focus on knowing God's Word and seeking how to apply it in our daily lives. First Christian Church is an independent, non-denominational congregation. The purpose of First Christian Church, Kendallville is to Glorify God in all that we say and do. To do that, we strive to Obey Jesus Christ by: seeking the lost, equipping believers, and sending disciples. The ideal pastor would be passionate about following Jesus, have a calling for the ministry, and be doctrinally sound in his beliefs and teaching. He should be a man of prayer. He should be a visionary leader and an effective_noemailmunicator. The pastor should also have a shepherd's heart, be a servant leader, and be someone who can provide care, wisdom, and guidance to people of all ages. He should have a minimum BA or BS degree from an accredited college or university. Seminary training preferred. He should have previous pastoral experience with a church of a similar or larger size. First Christian Church would also like a pastor who can increase their passion and effectiveness in_noemailmunity outreach and biblical application. Job Description�Lead Pastor Principle Function: The Lead Pastor is responsible to the church to proclaim the gospel of Jesus Christ, to preach the biblical revelation, to engage in pastoral care ministries, to provide leadership in all areas of church life, and to act as the lead administrator of the paid and/or called staff. He should be open to the Lord�s leading, serve and equip the flock, witness with the purpose of saving the lost and making disciples, love people and love the Triune God in Heaven. The Lead Pastor will be accountable to the Scriptures and the Elders. Qualifications: 1. He shall fulfill the qualifications found in Timothy 3:1-7 and Titus 1:5-9. 2. He shall fulfill the admonitions found in 1 Peter 5:1-4 3. He shall give himself daily to personal study of the Word of God and to prayer (Acts 6:1-4) 4. He shall submit himself for accountability to his fellow elders (Hebrews 13:7, 17) 5. He shall agree with the Doctrinal Statement of First Christian Church Responsibilities: 1. Shepherd the flock (Acts 20:28, 1 Peter 5:2) 2. Preach and teach the Word of God and give himself to serious and comprehensive study of God's Word (2 Timothy 4:1-5) 3. Lead and administrate the church staff and meet weekly with the church staff. 4. Prayerfully plan the weekly Sunday worship services, along with the Associate Pastor(s). 5. Coordinate and prayerfully plan Bible studies. 6. Regularly meet with the Elders for prayer and sharing 7. Attend monthly accountability meetings with designated Elder(s). 8. Attend the annual Leadership Retreat. 9. Serve as a member of the First Christian Church Board. 10. Provide a written report for each board meeting. 11. Serve as an ex-officio member of all church committees. 12. Regularly minister to the needs of the congregation as a Servant Leader. 13. Provide sound Biblical counseling and/or direction to individuals. 14. Seek to equip the saints to do the work of ministry and to edify the Body of Christ (Ephesians 4:11). 15. Prepare and perform/assist with weddings, funerals and baptisms. 16. Have a servant�s heart.